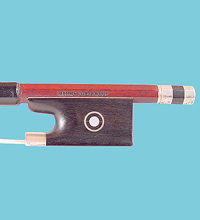 From the German & Austrian Violin Makers by Karel Jalovec.Kurt was born in Erlbach in 1909. Pupil of Max Emil Penzel. His bows are branded KURT DOLLING.